This in-depth, yet simple roof measuring guide will help you measure your roof, and with the help of the Roofing Calculator you will be able to estimate your roof replacement cost. This guide will be helpful to homeowners, roofing contractors and roof estimators / salespeople alike, as it will describe the process of measuring and estimating roofs, which I used as a roofing salesman. Update – brought to you by popular demand – part two of this article: How to Estimate a Roof – learn how to price a roof based on roof size, cost of roofing materials and other factors, and how roofing contractors price their roof. But first – learn how to measure a roof – full guide below. 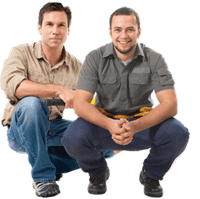 You will also learn two roof measuring systems, which will yield exact roof sizes, as well as approximate roof sizes. Exact roof measuring will be helpful if you need to know the per-square roof cost or need to buy roofing materials and need to know how much to buy. Simple (quick) roof measuring guide will help you get or give quick roof quotes over the phone or email. If you are a homeowner, and need to know how much your local roofer will charge for your roof, you will be able to give them roof size, and other details, such as length of ridge vent, valleys, dormers, etc. If you are a roofing contractor / salesman, you will be able to quickly quote a roof price, without spending in some cases hours, to provide an exact quote, which would be completely out of the price range a customer is willing to pay. Both of the above roof measuring methods will not require you to get on the roof, which is dangerous, and often unnecessary. Of course, if you are a roofing contractor and you need precise roof dimensions, or the roof is complicated – you probably will have to get up on the roof and measure each section, all valleys, sidewalls, chimneys, dormers, ridge vent length, etc., as well as inspect the roof for rot damage. However, in most cases this is a time consuming step which is not needed to measure a simple ranch-house roof. Benefits to homeowners: If you can measure up your roof, you don’t have to deal with pushy salesmen just to get a roof price, when you simply want to know the prices. You can either call a local roofing company and ask for approximate pricing based on your roof dimension, or use our online roofing calculator, to get a quick price quote. Benefits to roofing contractors / salespeople: We’ve used a variation of this roof measuring method to provide preliminary roof quotes over the phone and email, and saved ourselves countless hours, gas and aggravation of driving around, only to find out the customer was just “doing their research”. Once the customer has the approximate roof price, they know what to expect, and based on that information, they will decide weather to go ahead with you or hire someone else. If they want to work with you, then you go in person and measure everything up, inspect the roof, and do your sales presentation. All of this can be done simply – all you have to do is ask the home-owner for roof sizes and some pictures, sent to you by email. Tape measure – preferably 100 feet long – you can get one at Home Depot or Lowe’s for about $17 + tax, and if you don’t remove the wrapping, you can later return it, since you will rarely need it again (unless you are a contractor or roof estimator). 2 feet level – will cost you about $15 at Home Depot or Lowe’s, etc. You will need the level to get the exact roof pitch. You can also estimate your roof pitch or calculate it using simple math and geometry, and without the level. A 16′ or 24′ tape measure – $5 to $10. A pencil and a notepad to write down your measurements. You may also need a ladder – a 20′ extension ladder will cost you about $100, and will come useful for most homeowners – for example if you need to clean your gutters. Always get a ladder stabilizer bar – it only costs $20, but will make it a lot more comfortable and safer, as it prevents the ladder from sliding left and right, and you will not damage your gutters. Lets assume we are measuring a simple ranch-type house as these are very common and easy to measure. If you have a different type house or roof, you can still use this roof measuring guide, with some adjustments. Bellow you will find a step-by-step guide on how to measure your roof. Please note – this roof diagram has all the roof sections measured off the roof – in this case you will not need to calculate roof slope to get the roof sizes. Once you draw up your roof diagram, take the 100′ tape measure and measure your house foundation or the dimensions of the exterior walls. Measure from corner to corner on each side, unless your home is square or rectangular shape – in this case you will only need to measure length and width. Most roofs have overhangs or roof bump-outs, which prevent water from running down your exterior walls and damaging your siding and foundation. You will need to add these overhangs to your roof dimensions as they can often increase your total roof size by 100-300 square feet. Usually these overhangs are 6″ or 1 foot, all around or along the eaves, so, add this to your roof sizes accordingly. Add the exterior walls dimensions and overhangs, and write down these sizes on your diagram. Roof pitch or roof slope is a measure of how steep your roof is. It is measured in inches, and can also be converted into degrees, though degrees are rarely used by roofing contractors. Roof pitch is calculated by taking a roof rise, and dividing it by roof run. To make things simple, 1 foot or 12 inches is used as a default run. Therefore, roof pitch would be X” in 12″ or X in 12 or simply X, where X is the rise. Calculating the roof pitch can be rather complicated or pretty simple at the same time. Before we jump into the actual pitch calculation, as well as applying it to you roof measurements, you should take a look at our guide on how to calculate roof pitch. Once you know your roof’s pitch you can use your ground dimensions and pitch multiplier to get a pretty accurate roof size. If you already calculated or know your roof pitch, bellow is a pitch multiplier table for you to use. These pitch multipliers are calculated using the Pythagorean theorem. Instead of climbing up on the roof to get an accurate roof and pitch measurement, you can use our new Roof Pitch Calculator, which will estimate your roof size as well as provide an approximate roof replacement cost for your roof. Calculating roof size: Now that you know your roof’s ground dimensions, measured your roof pitch and have the pitch multiplier, you can calculate your roof size, as well as the amount of roofing materials that you will need to re-roof your home. If you have a simple gable type roof, like a colonial or a ranch home, calculating roof size will be as easy as two plus two. Simply take your ground dimensions, multiply length by width, and apply the roof pitch multiplier. For example, if your house is 24 x 46 and is 6-pitch, you multiply 24 by 46 and multiply the sum by 1.12, which is a multiplier for 6-pitch roofs. The result will be 1237 sq. ft. roof. If your roof is more complicated and cut-up than a simple gable roof, you will need to break it into sections and calculate each section separately. For roofs with hips and valleys, or details such as dormers, you will need to apply some basic geometry to get more or less accurate roof sizes. If you have chimneys, skylights, and other large roof penetrations, you should not subtract them from your total roof size, as these are usually negligible, compared to your roof’s size (unless you have 10 skylights on a 1000 sq. ft. roof), and won’t have much effect. Besides, roofing contractors will not subtract these either – an average skylight is only about 10 sq. ft in size. You should also realize that working around the skylight will produce a lot of waste and will consume a lot of installation time, and even more so for chimney flashing. What’s next? This is the first part of a three-part series on measuring and estimating roofing costs. In the next part – how to estimate a roof, which is intended more for roofing contractors / estimators rather than for homeowners, you will learn how the estimating process works, and how to calculate roofing cost without loosing your shirt in the process. Our next article will cover in depth the process of calculating complicated roofs with valleys, hips and dormers, as well as different roof slopes and planes. I also recommend that you read our article about roof prices, which will explain what goes into the cost of a roof installation and how roofing contractors price their jobs, using per-square pricing and Labor + Materials + Overheads + Profit roof pricing method. Loved this article!!! Hubby & I are restoring an old Victorian, so cost has been a HUGE issue. we are doing the work ourselves and thoroughly enjoying it. Definitely, time for a new roof though. You have broken this down and made it very simple for me to understand. I c an get the materials ordered and delivered and new roof on soon! I’m glad this was useful for you. Thanks. Wow!! Great website. Very informative. Thank you! So, I’m reading this excellent article about measuring roofs and I get to the bottom of the page and I can’t find the second and third part anywhere on the site. ??? Please point me to the rest of the series! Its really good and I’d like to read the rest. Thank you. “What’s next? This is a first part of three-part series on measuring and estimating roofing costs. 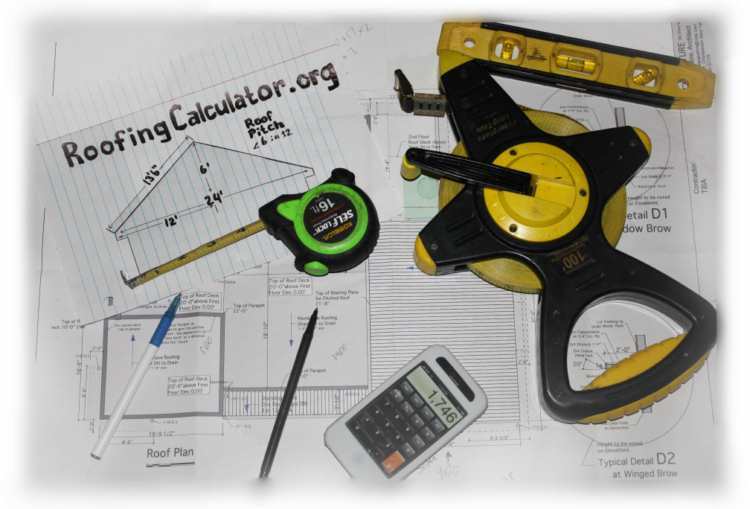 In the next part – how to estimate a roof, which is made more for roofing contractors / estimators rather than for homeowners, you will learn how the estimating process works, and how to calculate roofing cost, and not loose your shirt in the process. Our next article will cover in depth the process of calculating complicated roofs with valleys, hips and dormers, as well as different roof slopes and planes. Thanks for what you think of our roof measuring article. The continuation of the series is not done yet, but will be up soon. We were too busy with our Roofing Calculator app, and did not have enough time to finish some other projects on the site. These prices are for you, though I imagine Canadian prices are not far off, especially that US and Canadian dollar is almost the same now. On thing though, because of great difference in roof prices, cost of roofing materials and general cost of living from one region to another, these prices can only serve as “general ball park pricing”, and can vary by as much as 30% down or 50+ percent up.